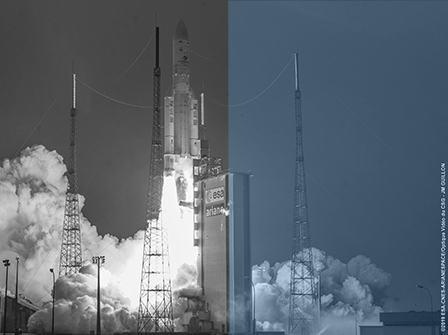 Hellas Sat 4, the Cyprus-based satellite operator’s latest craft, has been successfully launched on board an Ariane 5 rocket from Kourou in French Guiana. The Ku-band satellite will be placed at the 39° orbital slot providing coverage over Europe, the Middle East and the Southern Africa. The satellite is expected to commence service in the third quarter of 2019. Hellas Sat said that the new satellite would extend its apacity and geographical reach to meet the growing demand for applications that include video, maritime connectivity, cellular backhaul, corporate networks and government services. Hellas Sat 4 will also serve as a back-up to Hellas Sat 3 satellite which is located at the same orbital slot and was launched in 2017. The launch also carried Saudi Arabian satellite SaudiGeoSat-1, which will provide Ka-band spotbeams across the country and will be operated by the King Abdulaziz City for Science and Technology, responsible for the promotion of science and technology in the Kingdom.